Columbia State extends ‘MTSU P..
Coming off one of its most successful seasons ever, MTSU’s award-winning Blue Raider Debate Team is embarking on a new semester full of tournaments. After graduating eight seniors from the 2017-18 team, Debate Director Pat Richey’s program is in a rebuilding stage. Most of the current team members don’t even have high school debating experience. “Whoever’s in varsity will always help out the new kids, especially now,” said senior Jordan Nickell, a double major in media arts and sociology from Jackson, Tennessee. With so many newcomers among the 25 or so participants, veterans like Nickell and Josh Hendricks are even more important than ever to the team’s success. Hendricks, a senior communication studies major from Jefferson City, Tennessee, said he enjoys helping his teammates, who performed admirably thanks to their peers’ coaching and their own intellectual curiosity, enthusiasm and hard work. Last fall, the team competed in tournaments at the University of Southern Mississippi, Walters State Community College, Tennessee Tech, Cleveland State Community College and Mississippi College in Clinton, Mississippi. At Mississippi College, MTSU won the junior varsity division at the Deep South Debates. Newcomer Nick Ged, a sophomore psychology major from Smyrna, Tennessee, captured a second-place trophy at Tennessee Tech. Hendricks and Christopher Cowherd, a junior political science major from Nolensville, Tennessee, won first place in team debate in the Walters State tournament. Nickell and Hendricks took first place in team debate at Tennessee Tech, where the topic was whether President Donald Trump should stop tweeting. • The state tournament at Carson-Newman College in Nashville Feb. 8-11. • A tournament at a university in Arkansas in March, where details are still being finalized. • The national tournament at Louisiana State University-Shreveport April 12-16. MTSU also is first on the American touring schedule of the Irish Times National Debate Champions. 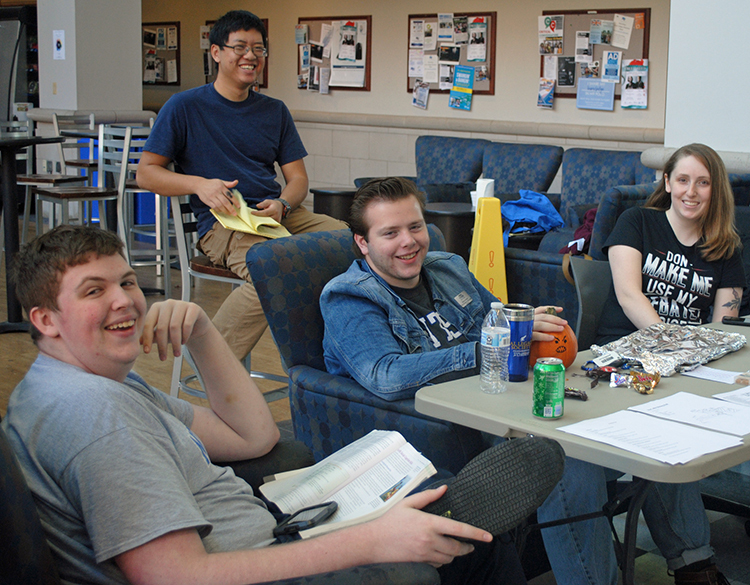 The Irish team will return to campus March 21-24 for their fourth friendly challenge of the Blue Raider debaters. And on April 9, the League of Women Voters will host a debate between MTSU and Belmont University on a topic related to immigration. The location is pending. Richey said any MTSU student in good standing, regardless of major, can become a debater. The team has been a part of MTSU for more than a century, and its members won 148 awards during the 2017-18 season, including the top national award in International Public Debate Association team competition. Time commitment varies from member to member. The team meets once per week for an hour and travels roughly four weekends a semester. Students aren’t required to travel, however. Richey is historian of the International Public Debate Association and has a 20-plus-year career in the practice of intercollegiate debate. The MTSU individual events coach, Natonya Listach, who serves as a judge for local tournaments, has won awards in duo interpretive, prose, persuasion and rhetorical criticism/communication analysis categories. 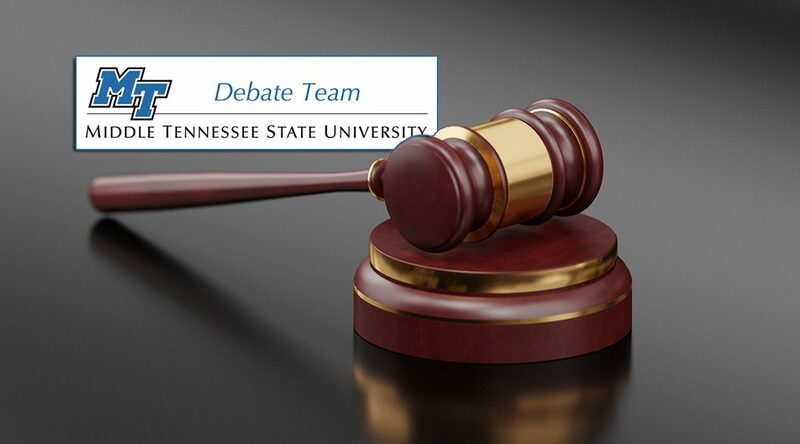 For more information about the MTSU Debate Team, contact Richey at 615-898-2273 or patrick.richey@mtsu.edu or visit www.mtsu.edu/debate.